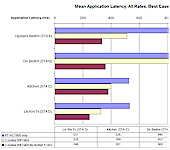 Discussion in 'Wireless Article Discussions' started by thiggins, Jan 22, 2018. Trentors, Hydro, SwampKracker and 1 other person like this. In the box out at the beginning of the article you say "STA (station) will be used to refer to wireless devices". The word "devices" is ambiguous because you've already used it to describe AP's in the first sentence. Perhaps "wireless clients" instead? Just a thought. Awesome article, Tim - thanks! An average joe sees these systems in a store and thinks "Well heck, more must be better!!! ", and they get wayyy too many satellite units, thinking they need to put them all over the place to get even more & better coverage. I lurk in the Orbi support forum, and I'm surprised at the number of posts where people mention having 3 or 4 (or more!) satellites set up for residential service. It's insane. Perhaps "wireless clients" instead? Just a thought. So, to your point about not having too many nodes to close together... Is there an easy way to determine how close is too close? I have a 100-year old, three level house (2 above ground & finished basement) with plaster/wire-mesh lathe walls (cinder block in the finished basement) and am having a bit of trouble getting a decent 5ghz signal to the entire house. I started with an Asus AC68u located centrally in the basement where the coax comes in for the cable modem and where the most wired devices exist. I get good 2.4 signal everywhere except the farthest corners of my upstairs bedrooms, and I get 5ghz throughout the basement and decent to marginal on the main floor (very spotty on the top floor). I've added a second AC68u connected via ethernet (run up the vent stack) to my 2nd floor office, and I get good 5ghz in the office, the adjacent hall, and the other bedroom on the same side. However, neither AP gives me decent 5ghz across the hall in my master bedroom or the adjacent bedroom. I do have a jack run into my kitchen, which is on the other side of my house on the first floor and have considered a 3rd AC68u there. Given that I already have to manually force my devices to disconnect sometimes and connect to the stronger AP, I'm guessing I'm already too close. I was wondering if there's a way to create a "heat map" of some kind to show my dead spots & hot areas. Maybe a software tool (preferrably free)? Most any of the Wi-Fi utilities you can download for smartphone show signal levels for each AP, even if they are on the same channel and have the same SSID. Go to your trouble spots where clients are sticky first. If the two APs are within, say 30 dB of each other, that could be a problem. But it all depends on how your clients make their roaming decisions. Older devices tend to use old algorithms that really want to hang on to the first AP they see. There are no free heatmap apps that I know of. Maybe others do. Thanks for the post on Wi-Fi Roaming. Most people think newer mesh or access points are better. The companies that sell routers, mesh systems, and access points just want to sell you their product. For the last twenty plus years I have used in my multi floor home a Verizon router in the basement, a "N/AC" access point on the first and second floors. All wired using CAT6 back to the Verizon router via a Poe switch (cameras link to switch). Lots of people think they need to purchase expensive access points or routers to cover their entire home. My devices switch easily between access points and all printers and media devices are wired via CAT6. If you take your time finding the ideal location for your access points and router you should have good solid connections all the time. 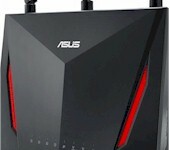 Also use a Wi-Fi strength finder and you should have few issues with you connections. I usually do not post or try to keep up with the latest "toys" push by companies that sell routers, mesh systems, or access points. Again thanks for your post. I wonder, why can't they change the WiFi standard to implement roaming similar to how cellphone towers handle it? Also why does a basic consumer focused WiFi mesh system have to act as multiple separate AP? why can't they behave in a way that is transparent to the client. for example, imagine if in a home, you had multiple clusters of antennas in each room, and as you moved from 1 room to another, the signal path of the RF could be simply routed over a path leading to the antenna closest to you in such a way where there is no disconnect and all the client notices is the signal suddenly getting stronger (assuming hypothetically 100% no line losses). Now what if that could be done virtually using multiple access points, simulating such an action separately for each client, where each AP creates an individualized matching virtual AP tailored uniquely to each client, then when a client moves 1 location to another, the more distant AP could instantly stop transmitting on that virtual AP, while the identical virtual one on a closer AP stops being dormant and simply continues the session? Not sure if something like this can be done, but with how unreliable roaming is for some clients, it seems like it would be useful to have a mesh system that is transparent to the client so that every client regardless of model can have the same roaming experience. My devices switch easily between access points and all printers and media devices are wired via CAT6. If you take your time finding the ideal location for your access points and router you should have good solid connections all the time. So you think the key to your success is mainly AP placement? What critertia did you use for signal overlap? Or is there some other "secret sauce"? Razor: And while they're at it, why can't we all just telepathically transmit everything? Sure, a system could be designed to address some of your points. But it wouldn't be WiFi and would be incompatible with the millions of WiFi devices in the wild. Cost and complexity... and even then, proper planning of the site location (and adjacent sites) is complex. That's correct. That is why the Wi-Fi Alliance has gotten involved and produced the WiFi Certified Agile Multiband certification. I wonder, for older devices, can better support for some of the newer roaming technologies be added in software (driver update), or will some changes to the hardware be needed? Hi, I just read an article on this site explaining the problem with classifications of Wi-Fi streams that companies push to the consumer. I wonder if three streams will be enough or maybe ten streams. How about twenty streams so that each device has their own connection. The problem is not the number of streams you have or need. Just about every neighbor has a router or access point in their home or apartment. Each of these devices and Wi-Fi devices are fighting for their space without interference from another device near them. I do not think the issue is the number of streams that manufacturers add to Wi-Fi devices or the number of antennas your device has built in. We need a device or two that can cover the area that surrounds your living space without interference from your neighbor's device. I have no "secret sauce" but refuse to play the multiple streams or antennas game pushed by companies. 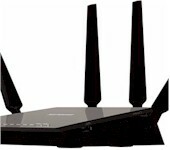 Have you notice that Wi-Fi devices such as router have so many antennas you could use them as a night stand for a lamp. Maybe we should buy our routers based on the number of devices we want to connect. 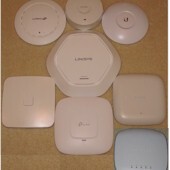 I have more than eight Wi-Fi devices to connect so I am waiting for a router with eight antennas and eight streams to go on sale. I do not think I will need to wait to long for that to happen. Just my two cents. 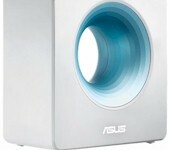 Good reading article on router stream classifications. This is my main issue in my home, roaming is hopeless to get working and I refuse to buy new equipment until there is something I know will work. Can you please add this to your testing and of course clearly state what standards are supported by each? It's pure luck if you get it to work. Most of the hand-offs (or all) are due to the client (phone) deciding to switch AP, and there is no way to control that except magically make power levels from one AP to another shift at a good location. My 2 APs are at the same level in the kitchen and there is no way to change that. I have tried lowering the power level for the AP mainly covering my bedroom but there is external interference as well from neighbors so not much choice. I will not be adding roaming testing. It's mainly up to the client, so my results will reflect only the client I use. 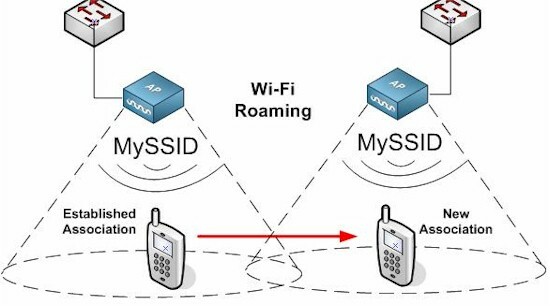 I have added information about supported roaming standards to the Wi-Fi System and Access Point Finders.